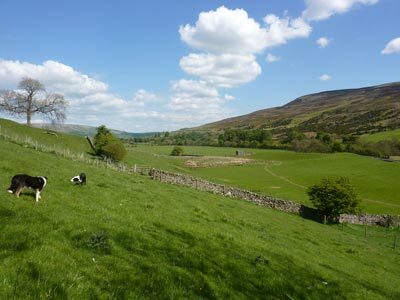 The 2 Low Row Bunk Barns are in an outstanding location just outside of Reeth, known as the capital of Swaledale in the heart of the Yorkshire Dales National Park. The bunk barns can be booked separately or together with a camping ground onsite, offering additional accommodation. West Barn sleeps 24 people and has recently been refurbished. East Barn sleeps 12 people in comfortable accommodation. Book them both for bunk barn group accommodation for 36. Low Row also offers a campsite for touring caravans, camper vans and tents. With the rise in popularity of Country and Barn themed weddings, Low Row Bunk Barns offers an ideal Yorkshire wedding venue for those looking to celebrate in superb countryside surroundings. 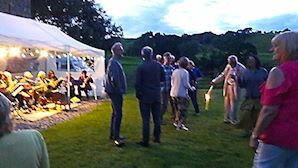 Similarly the Bunk Barns offer a low cost venue to get your family and friends together for a special birthday or celebration. 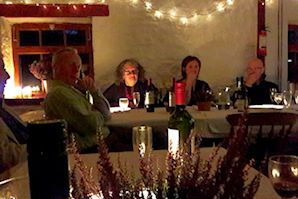 Why not book a regular weekend every year to get the clan together? 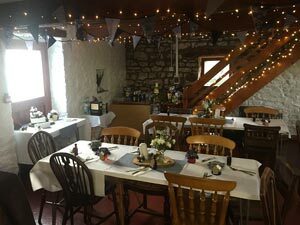 The bunk barns are within 2 miles of Reeth in Swaledale, which offers shops, post office, garage, pubs serving good food, tea rooms and tourist information. Catering can be pre-arranged, please provide your own consumables. This Reeth group acommodation makes a great base for outdoor activities. The Coast to Coast Walk passes just 1 mile away and this popular walking area offers a wide choice of walks. Aerial Extreme in nearby Bedale provides adventure experiences for your group, whilst mountain bikes can be hired at the Dales Bike Centre in Fremington, near Reeth. The Reeth and District Angling Club have access to 5 separate fishing beats on the river Swale. Fishing is for brown trout, predominantly by fly-fishing. Outdoor activities can be organised via Alfresco Adventures based in Reeth.